As a boy I felt good whenever I could show kindness to someone who was hurting—whether it was a friend with a fresh scrape or an elderly member of my church who needed a friendly smile. I soon came to realize that God had given me a heightened desire to give comfort and care, and I believe that I became a clinical psychologist for this reason. Today I experience joy in helping patients who are wrestling with emotional issues and life problems. I’m also a musician, and for the last ten years I’ve been able to donate my piano CDs to hurting children and their parents at a local cancer hospital. The pediatric psychology department distributes them, and I’m thrilled whenever I hear how my music is helpful. “Please let my music be a blessing to even more children,” I have often prayed. 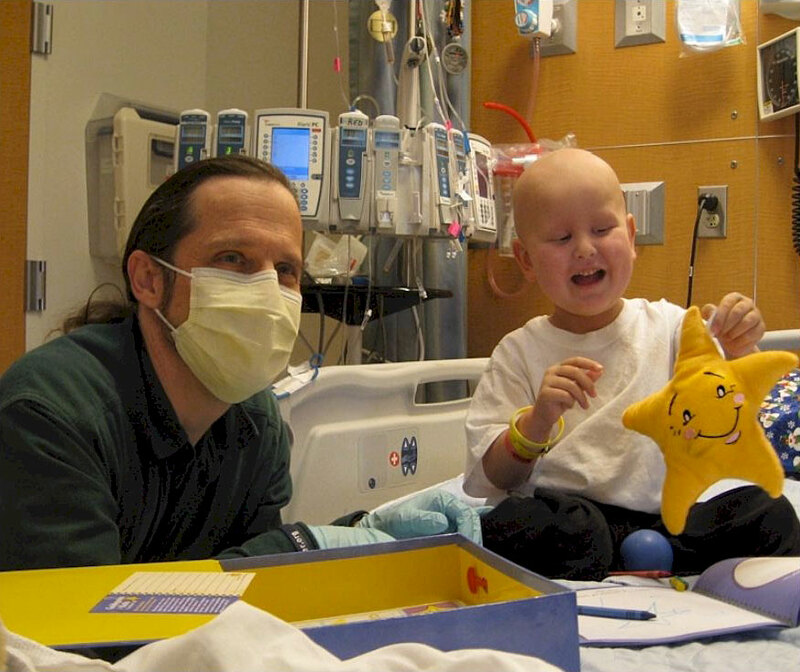 In 2010, my prayer was answered when Guideposts Outreach chose to use my music in its “Guideposts for Kids Comfort Kits” program for hospitalized children. Now each Kit includes a CD with eight of my piano compositions, providing music that helps instill calm and rest in the midst of stress. Guideposts Outreach, through hospital chaplains, places Comfort Kits in the hands of children in hospitals across the country. Each Kit comes with a plush toy star named “Sparkle,” an “I’m Special” wristband, crayons, a stress ball, a prayer coloring journal, and cheerful stickers—along with my piano music as the latest addition. Recently I had the honor of giving a Comfort Kit personally to a little boy named Ryan. Typically, the hospital staff does this, so I was thrilled to have the opportunity. Ryan is only five years old and has battled leukemia for most of his life. As two psychologists led me through the hospital halls toward his room, my heartbeat quickened and my mind filled with questions: Would Ryan would be happy or shy with a stranger like me? Would he be in an upbeat mood or be feeling uncomfortable? Would he be excited to open his Comfort Kit? Would he like the music? When we rounded the corner, I saw a little boy looking out through the window of his room. Before entering, we washed our hands and put on gloves and masks. I worried that I might look less friendly with my smile covered. My fears quickly melted, however, as Ryan immediately smiled at me. It was clear that he had learned to see the smiles in people’s eyes. Ryan’s parents shared his excitement as he opened the Comfort Kit. They were quick to put on his music CD, and I was again reminded and humbled to see how music can encourage children and adults alike. The visit that followed was full of Ryan’s bubbling laughter as he played with “Sparkle” and set about coloring in his journal. Although I had come to encourage Ryan and his parents, I was the one most richly blessed. I believe God created each of us with special leanings and gifts. I also believe that using our gifts to help others is one of the most direct paths to joy—Ryan and Sparkle certainly proved that to me. Click here to learn how you can help provide Comfort Kits to hurting children. Thank you!